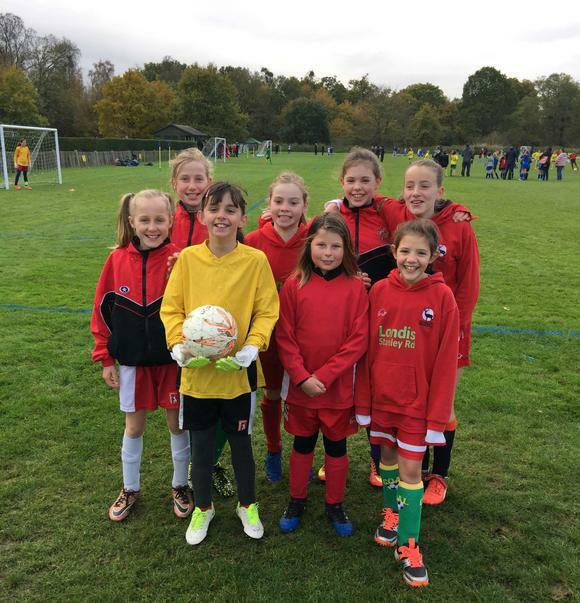 Well done to our Girls’ Football team who made it through to the semi-finals of the Borough tournament. Stanley won the group and went into the knockout stage. Quarter finals - Stanley v Hampton Juniors won on a penalty shoot out! Finally after losing the last two finals to the dreaded penalties. We were on our last legs and very tired. The girls gave it a real good go but we just couldn’t find a goal. The semi final went to Golden goal and unfortunately Hampton Hill scored with minutes left. Well done Grace, Elizabeth, Maddie, Lucy, Sophie, Izzy, Clem and Olivia! !